I have tried very hard not to use my blog for advertising. The last thing I want you friends to think is that I'm trying to make you buy something from me! Of course, if you *like* classic campbell on facebook and show your support for my entrepreneurial adventures, then I will try to get you to buy things from me! Or at least update you on things that others have bought from me. And even though I try to use these two avenues of social networking differently, I do believe I have erred on the side of caution...extreme caution. Because I have been alltheway busy making bucket liners and ruffly flower pins and other custom projects, I have not had a lot of time to do many other creative things. All of my creative energy right now is flowing right into my "business." So, that means that there has been no creative flow into my blog. But I decided just recently that since my purpose for the blog is to share about me and my life and my eating cooking and my creating and my kids, then it makes perfect sense for me to share some of these "business" creations with you too. I do not want to make you buy things from me (though I will not prevent it), but this has become a very satisfying and important part of my life, so I want to share it too! I realized that there were a lot of things that I haven't shown you and they were pretty cool things. Like the princess and the pea playset. These are some of the most fun things to make. 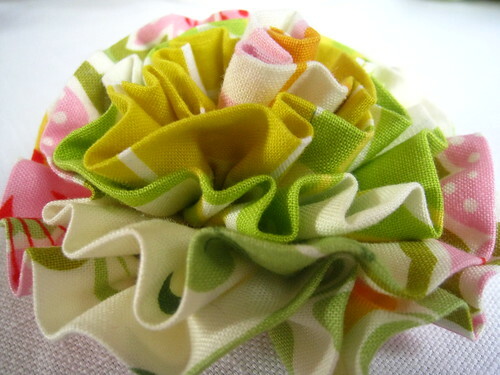 I love love love to combine fabrics and this project was the perfect outlet for that! 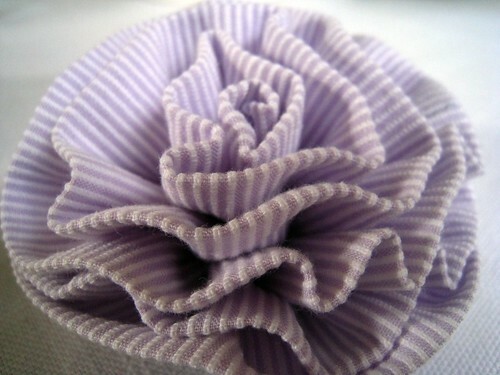 And in case you haven't noticed, I've been making these ruffly flower pins. At this point, I am selling them just as fast as I am making them. Without any time to photograph and list them on etsy, even. 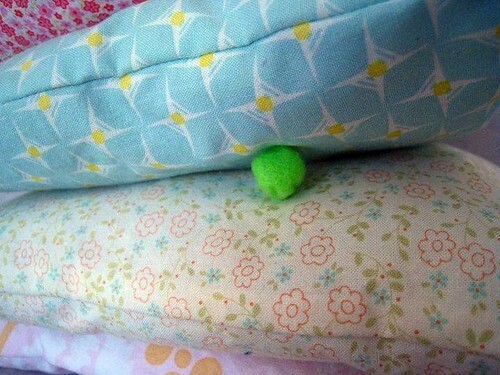 There are rarely two that are alike, so my opportunities for fabric combining are endless! 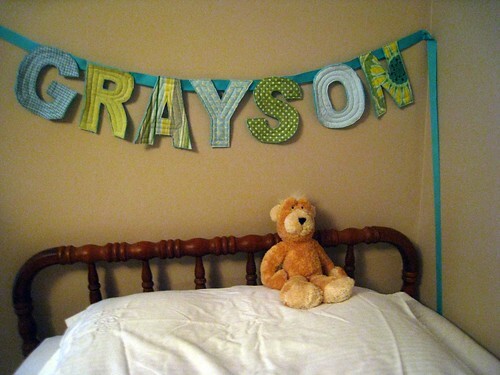 And the banners are still popular on etsy and otherwise. 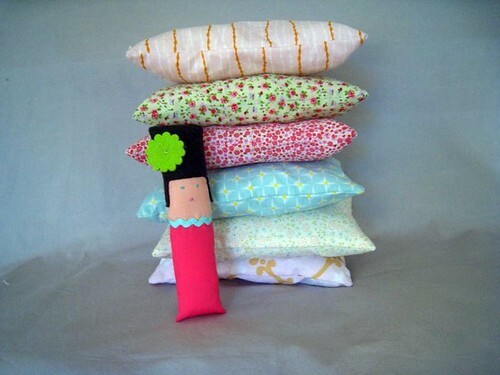 I need a great camera to take photos of all of the different ones I've made. The photos I've taken really do not do them justice. I love making these things for others. 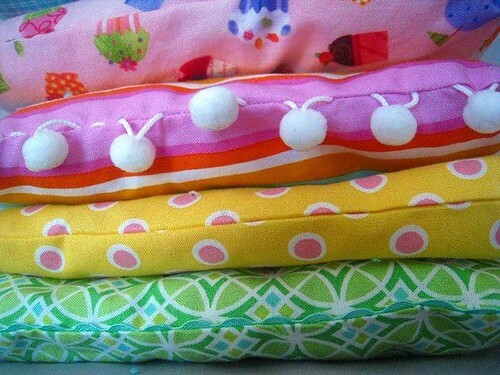 My spring fever makes me anxious to whip up some new clothes for Anna Jane...and my sweet sister-in-law is getting married very soon, and I have a lofty goal of making the dress I'm going to wear to the wedding. It's hard to fit all of these things in, but I'm looking forward to all upcoming projects, whether they come to fruition or not! 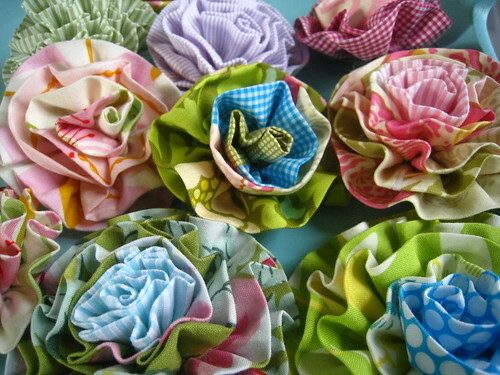 Would you consider making a simple tutorial for your adorable fabric flowers? 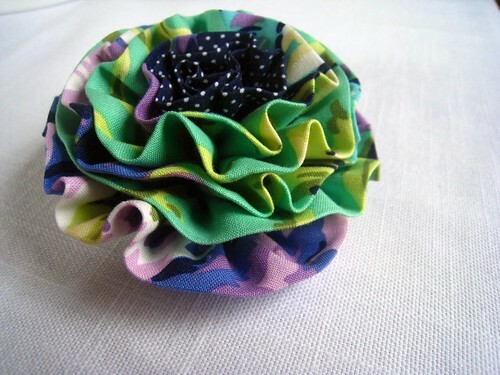 I love them, they would look so cute as broaches on my daughter's dresses!